For all my curly girls, time to have a #RealCurlConvo. 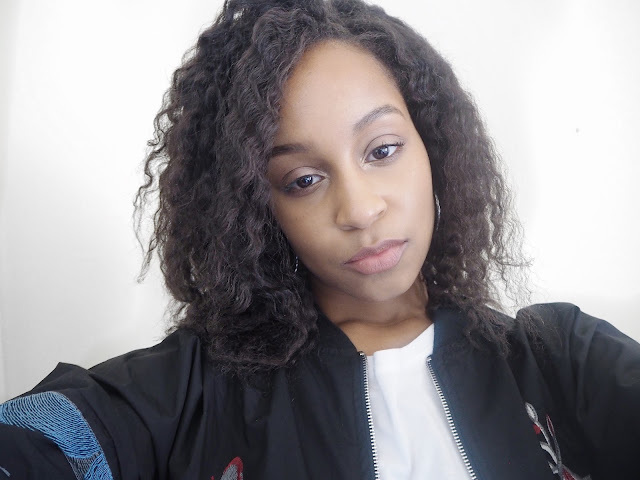 My natural hair journey has been a long one. I finally feel like i’m starting to know what works for me and what doesn’t but it’s a never ending trial and error. I don’t mind mixing and matching products, but having a full set from the same line is always an added benefit. 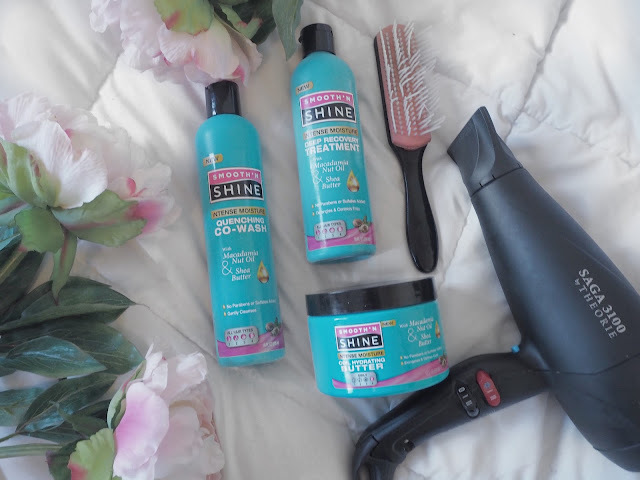 So trying out the Smooth ‘N Shine Intense Moisture line was such a delight, being that all of the products delivered what they promised and they don’t contain any “bad” chemicals. The Intense Moisture Quenching Co-Wash gives you suds-free gentle cleansing, as well as moisture and shine with shea butter and macadamia nut oil. The consistency is pretty thick but it doesn’t give much “slip”. And the thicker the hair, the more product you need (as with anything) but a little does not go a long way. But I love the ingredients and I love how clean this product makes your hair. Occasionally I use sulfate-free shampoo, but I may stop altogether because of this Co-Wash. My scalp was debris-free and my hair was soft to the touch. 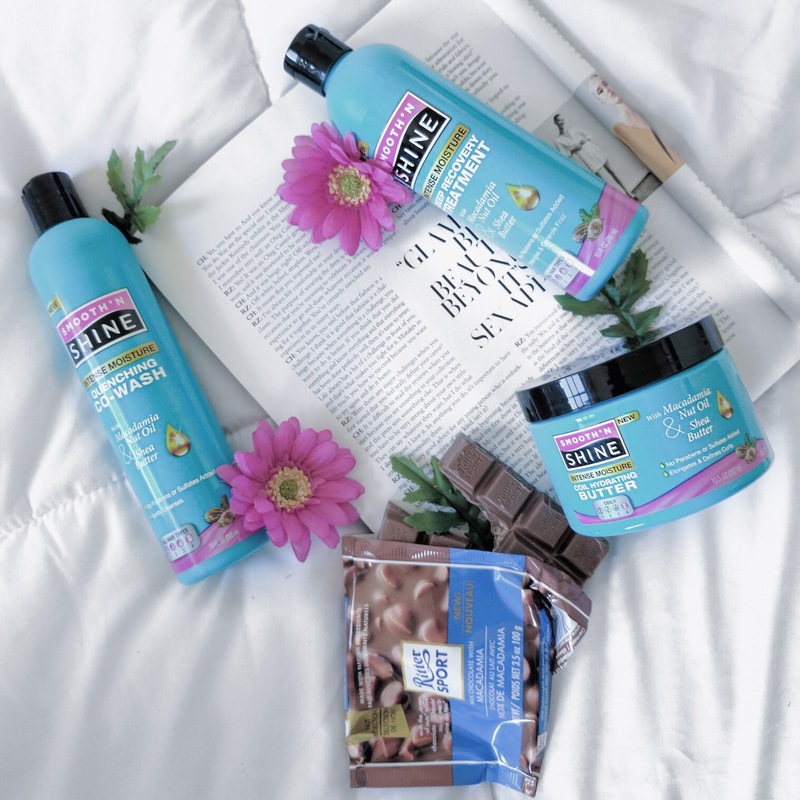 The Intense Moisture Deep Recovery Treatment provides dry/damaged hair repair, as well as softening and detangling with shea butter and macadamia nut oil. This treatment can be used multiple ways – as a leave-in or a deep conditioner (with heat applied). I am highly considering swapping this out for my current leave-in. 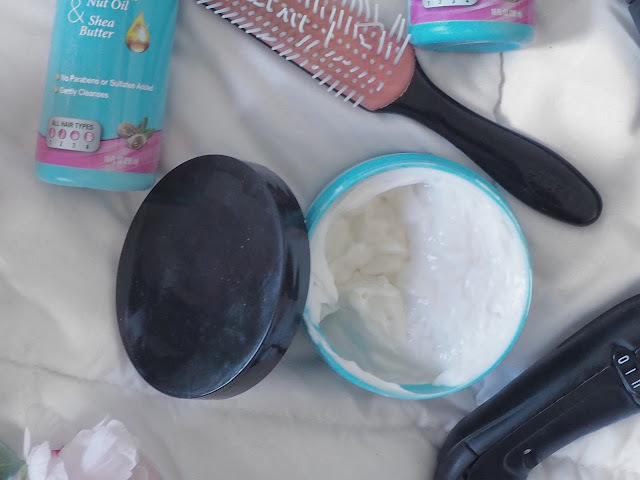 The consistency is very thick and really feels like it’s moisturizing your hair and it doesn’t flake. 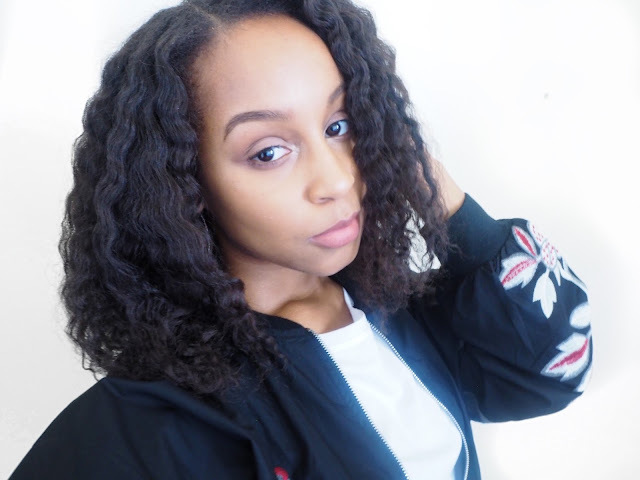 The Intense Moisture Coil Hydrating Butter gives you curl elongation and definition, as well as frizz control and detangling with shea butter and macadamia nut oil. 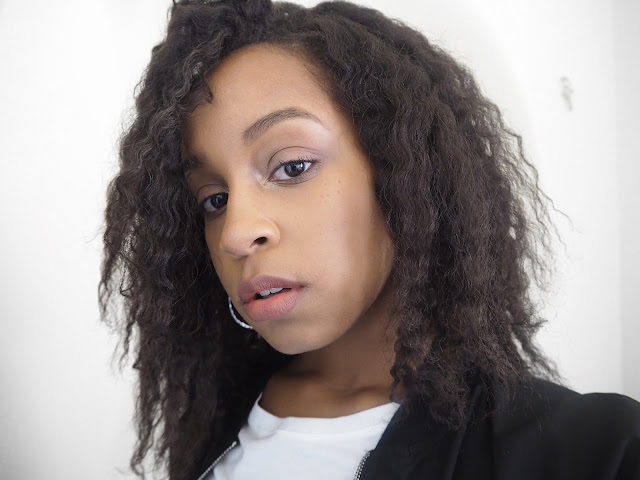 For this look I did a braid-out on blown out hair. The butter does contain water, so in effort to not fully revert my hair back to it’s curly state, I used it sparingly, just lightly coating the hair and then braided my hair in about twelve individual braids. I then used the butter a little more heavily on my ends to smooth them. And to keep frizz at bay, rub your hands in coconut oil while you’re unraveling your twists/braids. Cute! Might have to give this a try.